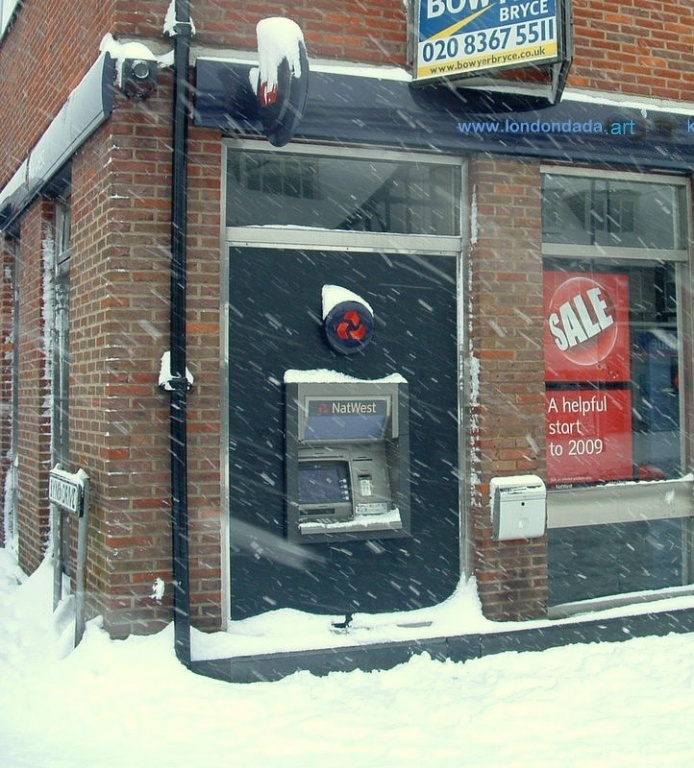 This entry was posted in Uncategorized and tagged Art, bankers, credit crunch bites, Dada, frozen assets by Michael St.Mark. Bookmark the permalink. Its just a reference to the shrinking quid over the bigger value euro, not to worry. Click on the Nat West sign is good. “Is the mountain I see today the same mountain as it was yesterday?